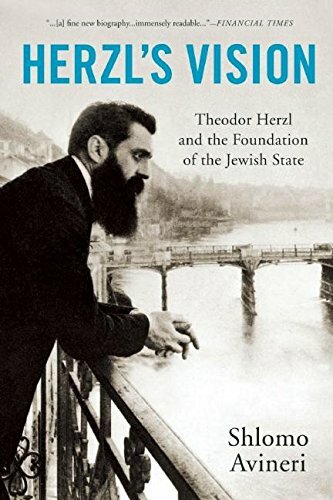 The groundbreaking book of the Zionist Movement, Herzl’s The Jewish State (Der Judenstaat) called for the Jewish Question of Europe to be resolved politically. Herzl didn’t see the problem of the Jews in Europe as specifically religious or social. He saw the problem as one of national identity, which could only be solved by making the Jewish Question an international political problem for the civilized nations of the world to deal with. Herzl wrote that the Jews have to have a state, as opposed to a small colony. The Jewish State lays out precisely how this future Jewish nation will come about and how its society will be organized. From diplomatic representation to economic development to the type of government that will be established, The Jewish State expresses Herzl’s vision that the future state would have freedom of religion and full legal equality for all its citizens.